This is another great true crime offering from The Atavist. I am a big fan of The Atavist – non fiction stories by journalists that are longer than typical magazine articles but shorter than books. There’s fascinating “inline content” – audio the author, pictures, timelines, video. It’s the story behind the story and I was so impressed with the experience. 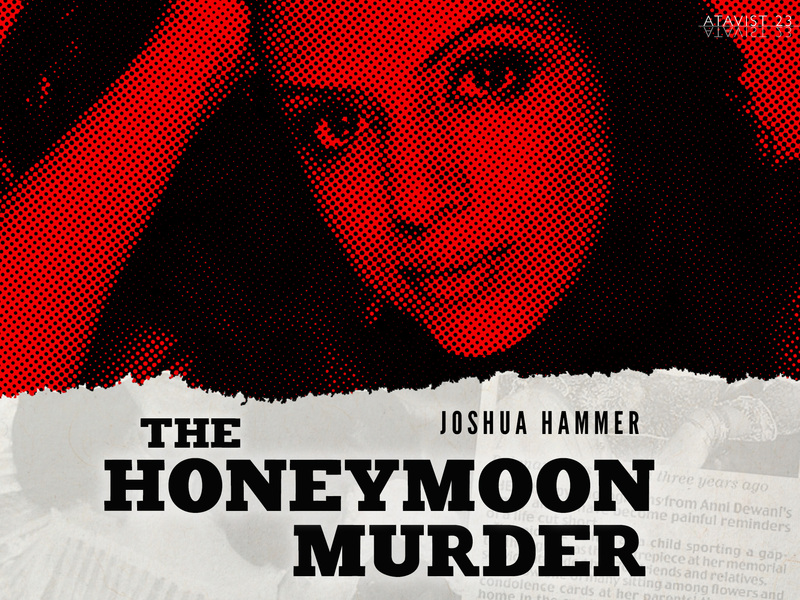 The Honeymoon Murder was a high-profile case and this longform article by Joshua Hammer gives a lot of fascinating detail. Anni Dewani was a Swedish-born Hindu from a wealthy family who married a handsome and extremely wealthy UK-born Shrien Dewani. They had a whirlwind romance that was the stuff of dreams. A Paris proposal, private jet flights and a lavish wedding, the couple were beautiful and seemingly untouchable. On their honeymoon in South Africa Anni and Shrien were kidnapped while on a backroads tour of slums in Cape Town. Anni was found with a single bullet wound to the neck and Shrien was released unharmed. Playing the grieving husband, Shrien was devastated by his beautiful new wife’s murder but suspicion soon set in and he was the main suspect. It was alleged that Shrien masterminded the murder and to date, three South African men have been jailed for their part in Anni’s death. Hammer gives a great detailed account of events in this dramatic case. I don’t want to ruin any of the story for readers, even if they know some of the details. Hammer’s account is really authoritative spanning South Africa to England, where Shrien lives. Wanted in South Africa, extradition proceedings to get Shrien to face charges of murder will resume in July, 2013. The proceedings have been delayed due to Shrien’s alleged poor mental health. To purchase The Honeymoon Murder for $2.99 go to The Atatvist.